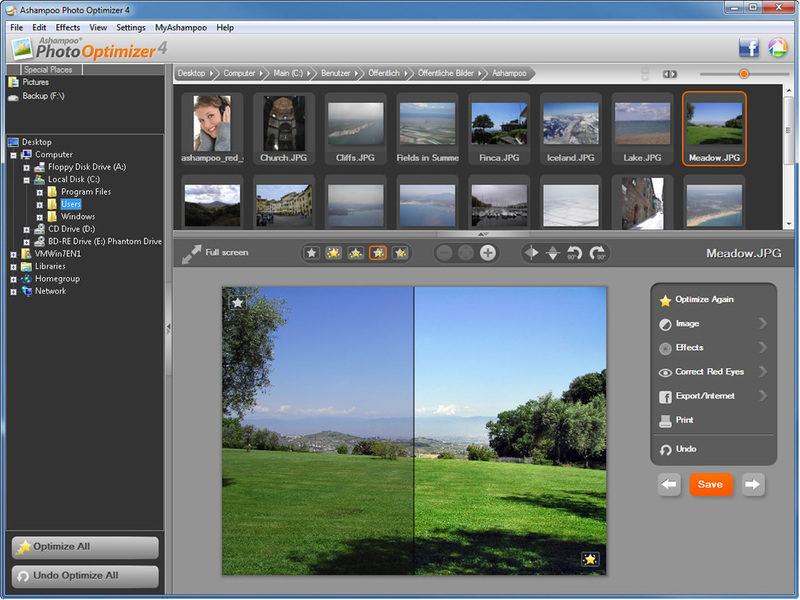 Ashampoo Photo Optimizer 4 combines photo editing with an easy-to-use interface and a quick one click optimization. Ashampoo Photo Optimizer 4 has all function that users need to make the best out of their photos - red eye correction, several effects, watermarks, color correction, one click optimization, rotate, mirror effect and lots more. The optimization of not only one photo, but several ones is quickly done with Ashampoo Photo Optimizer 4. Qweas is providing links to Ashampoo Photo Optimizer 4 4.0.3 as a courtesy, and makes no representations regarding Ashampoo Photo Optimizer 4 or any other applications or any information related thereto. Any questions, complaints or claims regarding this application Ashampoo Photo Optimizer 4 4.0.3 must be directed to the appropriate software vendor. You may click the publisher link of Ashampoo Photo Optimizer 4 on the top of this page to get more details about the vendor.